* PLC Control Plane for Intelligent operation. 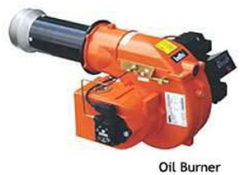 Esteem Industries Inc. is a leading waste incinerator manufacturer in India. We are local manufacturer and one of the largest exporters of India. Pyrolytic incinerator equipment technical is main waste treatment all of the world, for Medical waste, Pet animal cremation and other Solid waste. The capacity from 10kgs/Hr. to 600kgs/Hr., up to 10ton per day. Presently, we supply different series for local customer requirements and design updated incinerator with our leading technology. 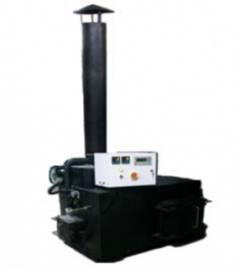 The updated design feature of our range of incinerators makes them one of the most cost effective in the world. TS model PLC incinerator is latest design for waste treatment; include medical waste, animal cremation and other solid waste. This equipment quality structural for kinds of site, like hospital, environmental department, animal cremation agencies, etc. 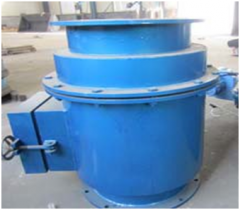 CLOVER Incinerator supply updated models with dual combustion chamber and smoke filter chamber with refractory lines, and the combustion chamber temperature up to 1200 deg C.
Spare parts are available and would be chargeable after warrenty.